The local TV weatherman (okay, meteorologist) called it a “nuisance snow”, but I didn’t see it that way at all. The few inches we got yesterday made me feel glad for a sign of the season. It was a refreshingly pretty snow that fell on a Saturday between holidays, and I had no place in particular to go. 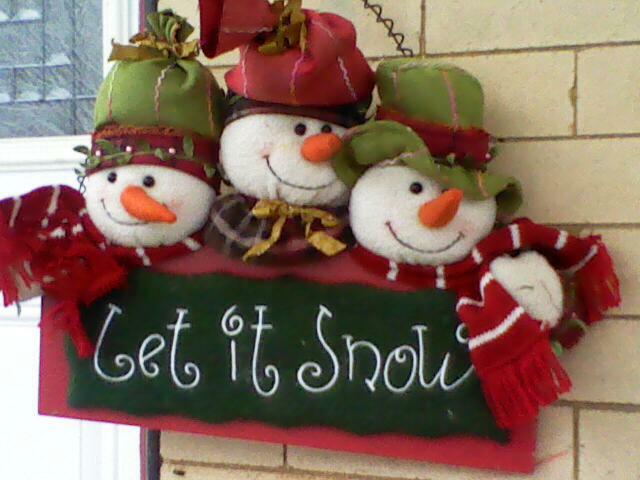 I heartily agreed with the sentiment of the snowmen: “Let it snow!” Besides, what else can you do but embrace what Mother Nature sends? 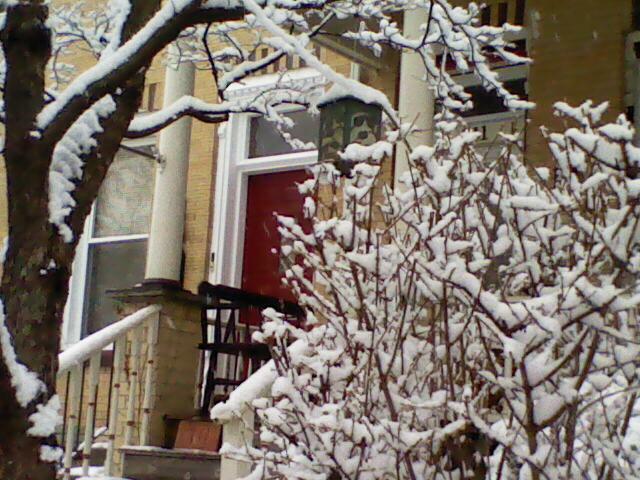 Our front door is obscured by the snow-covered forsythia, but the neighbor’s red door makes a nice contrast with all the white. 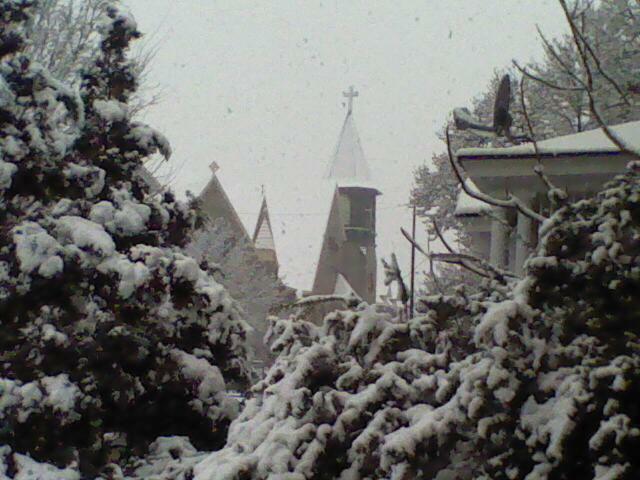 From our front porch we can glimpse a view of one of the two churches on the street corner. I like to look at the churches and homes on our street and wonder what life was like when they were built (around 1900). 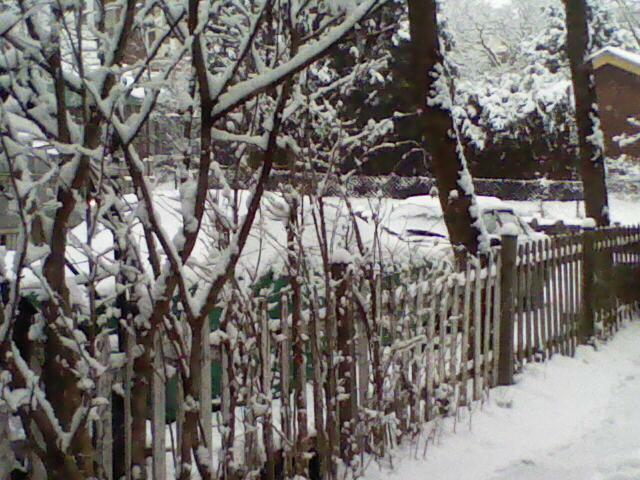 A view from our backyard towards our back alley gives a little more contrast against the white of the snow. This morning when my daughter and I looked out the back door, we spied a neighborhood boy preparing snowballs for a little winter fun with a friend. Our backyard features a squirrel’s paradise of oak trees. 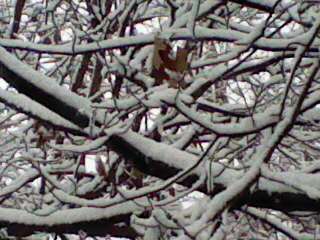 The snow-lined intertwined branches are visually stimulating. 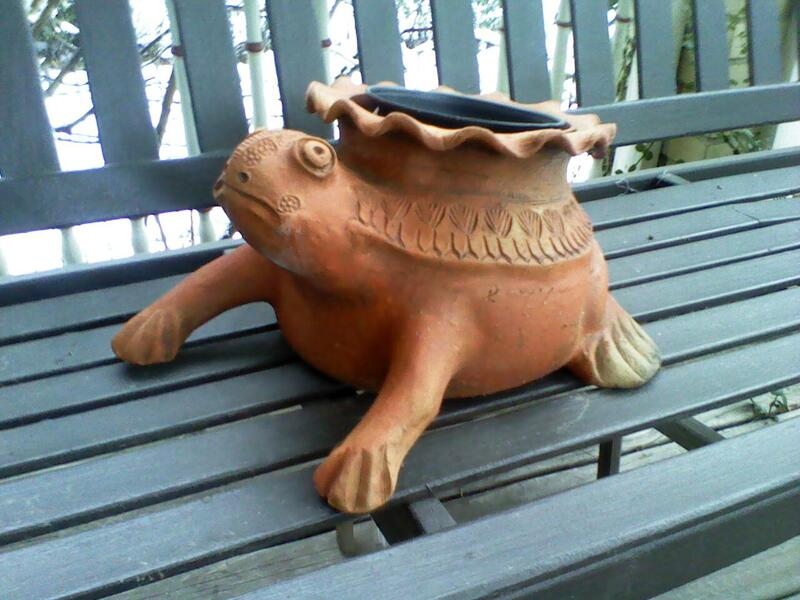 The sad little turtle planter sitting on our front porch swing seems to be thinking, “When will spring be here?”. He’s going to have a long wait! « Happy 3rd Birthday, River!